Acxiom® (NASDAQ:ACXM), an enterprise data, analytics and software-as-a-service company, today announced it has entered into a Premier Partnership with Adobe, a global leader in digital marketing and digital media solutions. 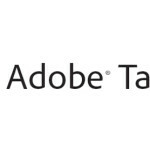 This level of partnership — the highest within Adobe’s global partner ecosystem — enables Acxiom and Adobe Marketing Cloud clients to continue to access Acxiom data via Adobe Audience Manager’s Audience Marketplace with even greater ease to drive more accurate marketing campaigns. Adobe Audience Manager’s Audience Marketplace is a private data marketplace that connects advertisers and content publishers to buy and sell second and third-party data without the time-consuming challenges of setting up individual partnership agreements. The data exchange also enables companies to scale their high-value audience segments for personalized and targeted content across marketing channels. Acxiom advanced to Premier Partner status following two years of successful collaboration in Adobe’s global partner ecosystem. Extending globally across all Adobe Marketing Cloud solutions, this new partnership also features coordinated sales and marketing support from Acxiom and Adobe to steward usage and facilitate creative thinking among clients. Adobe and Acxiom will continue to pursue additional collaborations and partnership opportunities for joint clients across the Adobe Marketing Cloud. Many of Acxiom’s clients use Adobe Audience Manager, a leading data management platform (DMP), to gain a more comprehensive view of their audience. Adobe Audience Manager customers use Acxiom to enrich and extend their existing first-party data audience segments with demographic, lifestyle and purchase intent data, resulting in more complete consumer insight and better marketing decisions. Adobe Marketing Cloud empowers companies to use big data to effectively reach and engage customers and prospects with highly personalized marketing content across devices and digital touch points. Eight tightly integrated Solutions offer marketers a complete set of marketing technologies that focus on analytics, web and app experience management and creation, testing and targeting, advertising, video, audience management, social engagement and campaign orchestration. The tie-in with Adobe Creative Cloud makes it easy to quickly activate creative assets across all marketing channels. Thousands of brands worldwide, including two-thirds of Fortune 50 companies, rely on Adobe Marketing Cloud. Acxiom is an enterprise data, analytics and software-as-a-service company that uniquely fuses trust, experience and scale to fuel data-driven results. For over 40 years, Acxiom has been an innovator in harnessing the most important sources and uses of data to strengthen connections between people, businesses and their partners. Utilizing a channel and media neutral approach, we leverage cutting-edge, data-oriented products and services to maximize customer value. Every week, Acxiom powers more than a trillion transactions that enable better living for people and better results for our 7,000+ global clients. For more information about Acxiom, visit Acxiom.com. 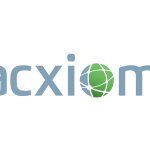 Acxiom is a registered trademark of Acxiom Corporation.